Fusing, sprinkling and drawing glass is an inspiring introduction to a new and exciting technique in glass fusion. Kirstine Damgaard has developed a technique in which everybody are able to produce splendid glass works with beautiful glass designs, without needing to be good at drawing. With this sprinkling / drawing technique she presents 56 different glass works on a wide range of dishes, glasshouses, furniture, glass pictures and figurines. Author’s imagination unfolds over 164 pages in an easy and accessible way. The book is thoroughly illustrated and gives specific instructions on how you can produce similar glass work using work descriptions, templates and drawings. 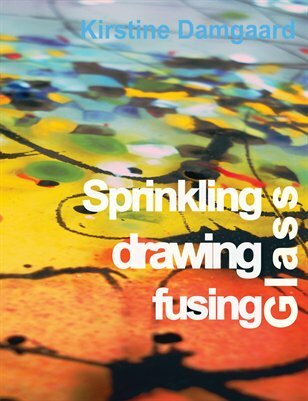 If you want to develop your skills in using the sprinkle/drawing technique on glass, this book is a really good sparring partner.